The Trafficking Victims Protection Act of 2000 (TVPA) established the US as a world leader in the fight against human trafficking, using a comprehensive approach that includes prosecution, protection, and prevention. This framework strives to ensure that survivors are identified and supported, traffickers are punished, and root causes are addressed to reduce vulnerabilities for both individuals and communities. This year marks a critical inflection point to reauthorize this bill. Our op-ed in The Hill further explains. We also co-author an op-ed with the Alliance to End Slavery and Trafficking (ATEST) which underscores a potential threat to the TVPA, posed by the proposed the Protection of Children Act of 2017. As further context, S. 1311/H.R. 2803, the Abolish Human Trafficking Act of 2017, and S. 1312, the Trafficking Victims Protection Act of 2017, and H.R. 2200, the Frederick Douglass Trafficking Victims Prevention and Protection Reauthorization Act of 2017, not only authorize continued funding for critical services and programs, but also add important direction to federal agencies to expand training and screening to increase victim identification; implement a victim-centered approach in services, investigations and prosecutions; and direct law enforcement to avoid arresting and prosecuting victims for crimes they were forced to commit as a result of the trafficking. They have broad, bipartisan, bicameral support. And yet. Today, the House Judiciary Committee is marking up H.R. 495, mistitled the Protection of Children Act of 2017 (PCA), which would eviscerate the TVPA’s provisions that require careful screening of unaccompanied minors, some of the most vulnerable to trafficking and exploitation. The PCA is designed to force DHS to ignore signs of human trafficking, abuse and exploitation in children who have recently crossed the border. Children fleeing violence deserve compassionate care and support. They deserve time to eat, rest, and feel safe before they are asked to retell their history of abuse and trauma. The PCA is designed to fail these children and place them at even greater risk. Members of Congress all across the political spectrum have rushed to support anti-trafficking legislation. They are quick to speak about the importance of training and support for services for trafficking survivors. They are championing new directives to law enforcement to screen all potential trafficking victims and to ensure that they are treated as victims, not arrested. This is an excellent and necessary step. But where is this compassion and dedication when they are drafting legislation that impacts foreign-born children? Human traffickers capitalize on the vulnerability of poverty, abuse, discrimination and civil unrest to entrap victims in forced labor and services. Human traffickers convince their victims that the police will not protect them. They rely on us to ignore their crimes and enable them to operate in the shadows.  Freedom Network USA calls on Congress to remain committed to the comprehensive, effective approach to human trafficking included in the TVPA and to reject attempts to roll back these protections. Your role is equally critical. Call your state representative in the House Judiciary Committee and ask them to reject H.R. 495.